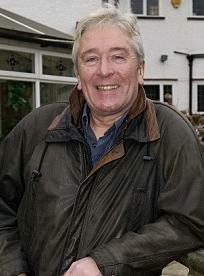 On Saturday 23rd April, comedy legend John Sullivan passed away aged only 64. John is of course world famous for creating the series Only Fools and Horses, but he will always have a special place in my heart for creating one of my favourite comedy characters, the legend that is Walter Henry Smith, aka Wolfie Smith. Portrayed by Robert Lindsay, Wolfie was the redoubtable revolutionary leader of the Tooting Popular Front over four series of Citizen Smith (1977 – 1980). Incidentally, one half of this blog’s name comes from that show, as does my cousin BarryGruff’s blog banner. As a tribute to the late Mr. Sullivan – who lost a six-week fight with viral pneumonia on Saturday – I’m posting my favourite Citizen Smith episode – “The Glorious Day” – wherein our heroes steal a tank and invade the English parliament. I once had the dubious pleasure of visiting “the mother of all parliaments”, and this episode was constantly running through my mind. As my own little tribute, I wore a hammer and sickle t-shirt and ended up in some verbal fisticuffs with our ultra-monarchist tour guide. I also managed to sneak into the House of Commons and shoutily argue with my Lib-Dem friend across the dispatch boxes (parliament was in summer recess). Too bad digital cameras weren’t ubiquitous back in those heady days.